And last but not least there’s this Halloween number: Booyah! My mom has been working on our family genealogy and I was super stoked to find out that I’m part Irish! Yeah! So as soon as I saw the St. Patrick’s Day gear in Bear Ware 3 I just had to make a card for her with it! Annnnd, I’ve been lucky to keep this lil shamrock plant alive for 2 years now! Go me! Don’t have a green thumb? Just stamp some shammys instead! LOL! Speaking of green thumbs, did ya notice I colored Mr. Bear green? Ha! Next up, Mr. Bear Bunny in his Easter ware! I couldn’t help but add in some butterflies and flowers from this new sequin mix! It’s so good — I kinda want to sprinkle some on everything! Along with this gingham washi! LOVE. More February Release Day Posts! This is the fourth post for the February release day — yeah I got a little carried away! This release is just so good you all! Here are my other posts, or find my release guide HERE. Part 4: Bear Ware 3 <— you are here! 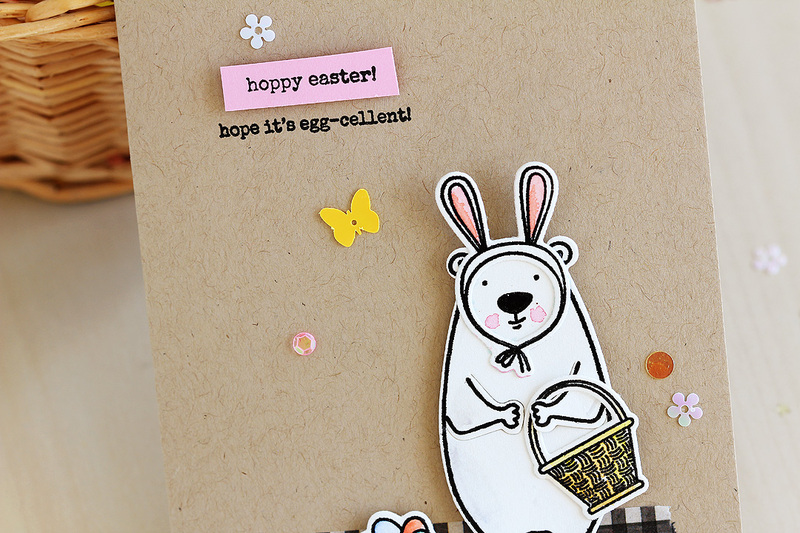 Your Easter bear is just too cute!!! So cute! 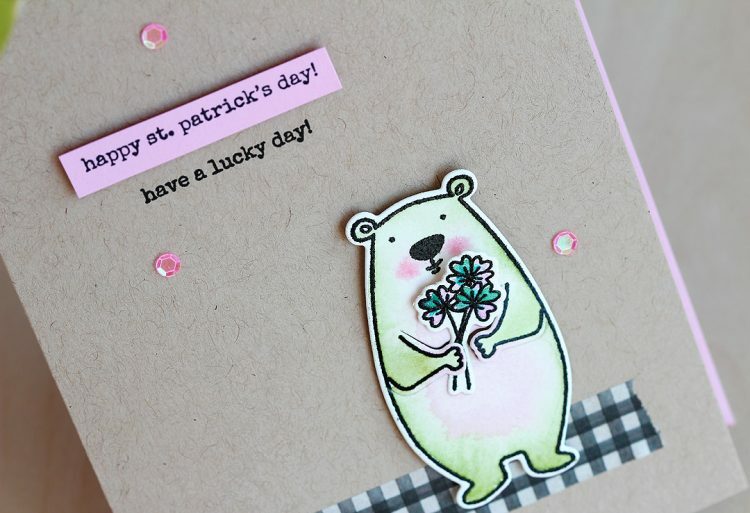 Love your washi tape “ground” – love the green on your St. Pats card! Love how you gave Mr. Bear a green color! 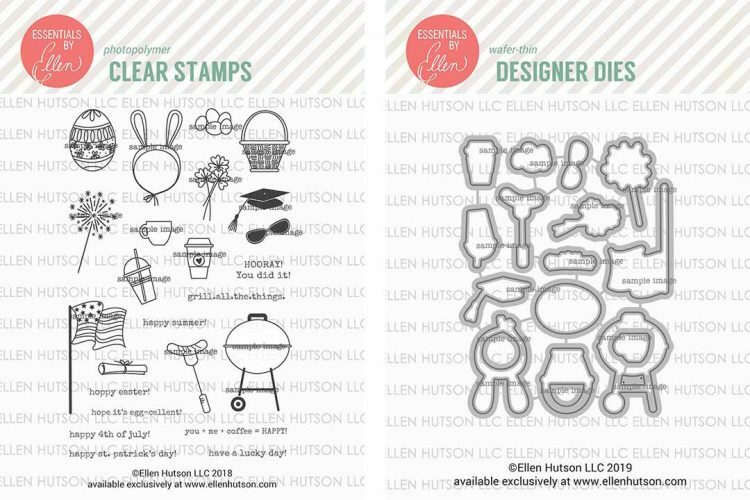 Such great cards to have on hand and way to go on the shamrock plant!!! That bear is just too cute! 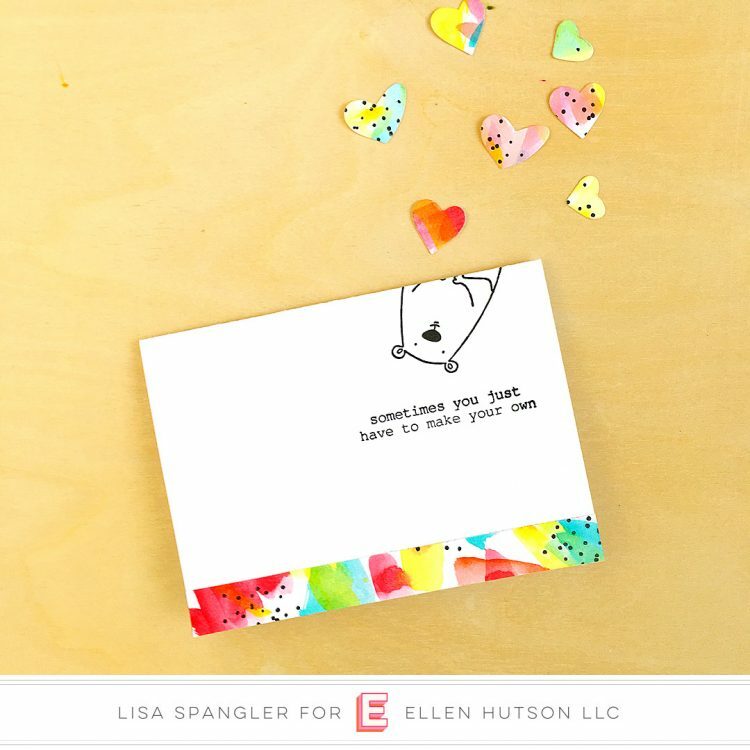 You Mom will love the card. I’m Irish too and darned proud of it! I adore this cute bear! It ‘s time for me to get some accessories. 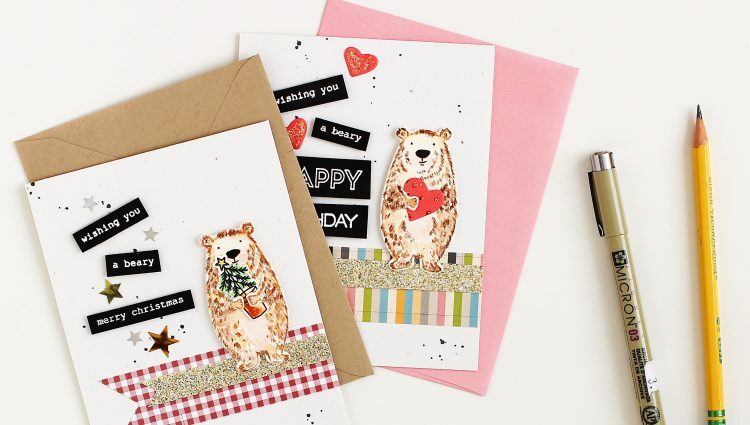 Thanks for sharing ideas for the St. Patrick’s and Easter holiday with your cards. The bunny ears are oh so sweet! 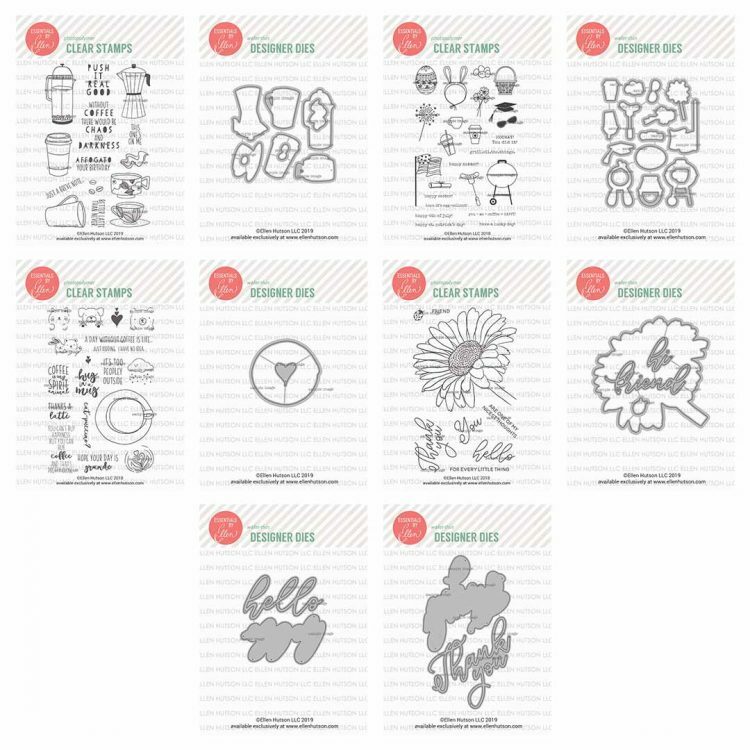 Cute and adorable…really love the coffee card…because its about coffee!! 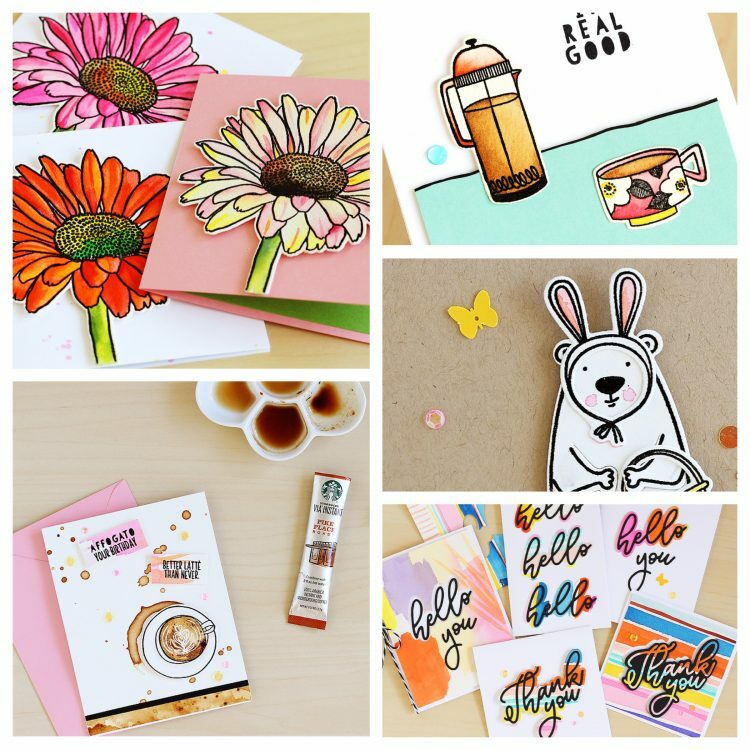 Your kraft paper cards and the stamps are so stinking cute! 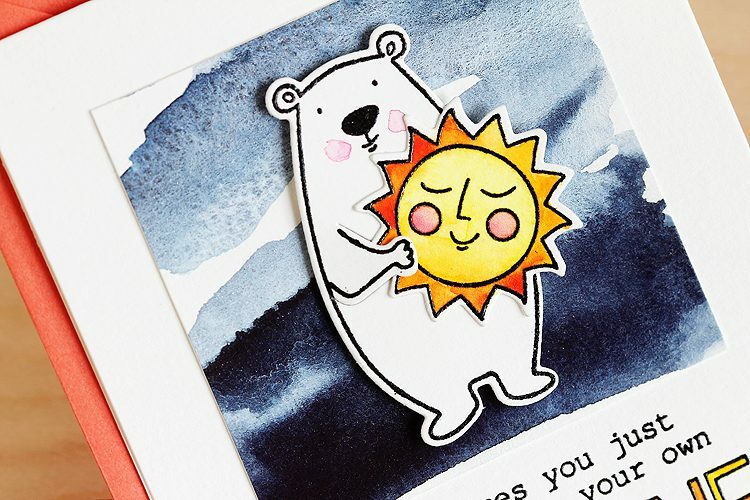 I’m often wondering how to make my card images look like they’re not floating in space, and your washi tape idea is perfect. I need to start using my hoarded tape.